My Wey of Life: Happy 4th Year Anniversary to my Blog! I am really proud of my blog because it changes my life! I have made friends, meet new people, see my progressions, learning new things and more through my blog! Anyway, I am doing a Giveaway (well actually 2) to my readers for my 4th year anniversary! What will my lucky readers get? A yummilicious 4" Chocolate Cake layered with Chocolate Ganache & decorated with a handmade cute fatty hippo figurine! Perth Readers only and pick up from Belmont, weekends only. Winner can pick a date from August to October 2012. Make your own delicious and fun mini cheeseburger meal sets, that taste just like the real thing. This set contains everything to make two hamburgers with cheese and ketchup, one order of fries and one cup of cola -- all mini sized of course. By using the included mixes, water and a microwave, you can make your own fast food right at home. Great for rainy day fun, or for budding young cooks. The whole set contains only 96 calories, making it a neat treat for guests that you won't have to feel guilty about. Much healthier than actually eating fast food. Comes with easy to follow picture instructions on the back. Kracie made a lot different kind of mini DIY edible fun sweets for kids (or adult!) They have DIY Ramen, Candies, Sushi, ice cream and much more! Just Youtube it, you will find tons of video about this Popin Cookin Craze. I have tried quite a few, and it was really fun especially you play with friends! Because I have tried them, I think this Hamburger Popin Cookin is the best one in terms of texture and flavours. The burger tasted like burger, the tomato sauce tasted like tomato sauce and Cola fizzes!!!! 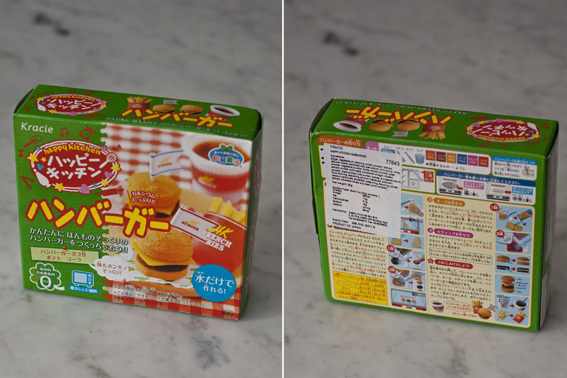 It's amazing how Japanese come out with all these crazy fun toy/food! That is why I'm giving this away to one of my lucky reader!! First one is just a silent movie of how you do it. 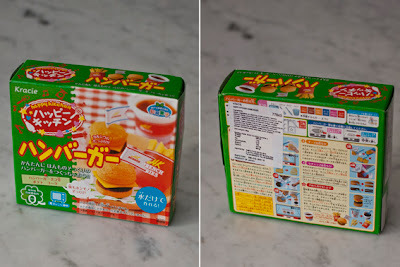 and the second one is from Emmy, she reviewed all the Happy Kitchen products and let you know her thoughts about it! You can click on her other videos on this Popin Cookin thingy. 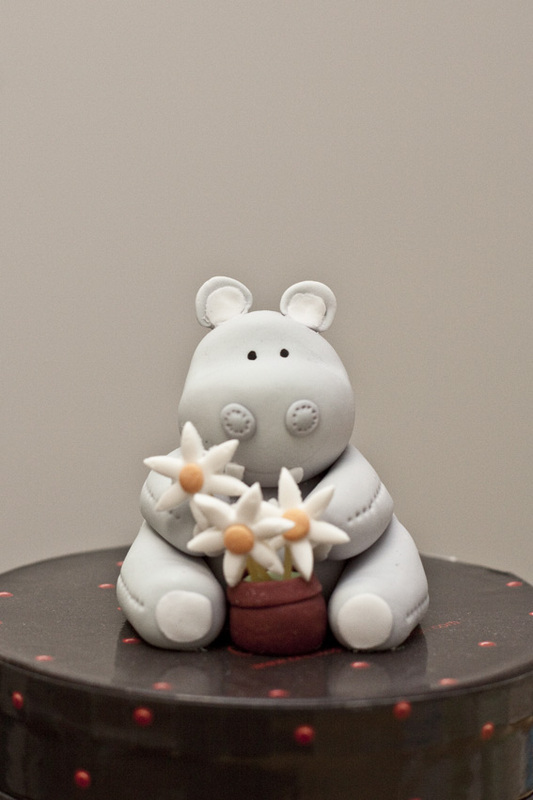 p/s: Hippo Cake is for Perth Readers only. Now how to win the Hippo Cake or Hamburger Popin Cookin? Step 3: Email me at jo.myweyoflife@gmail.com Your Name and pick the one that you wanna win. (Cake or Hamburger) You can enter for both if you live in Perth. I will be using Random.org or Classtool.net to pick the winners on 12th August 2012 Sunday.